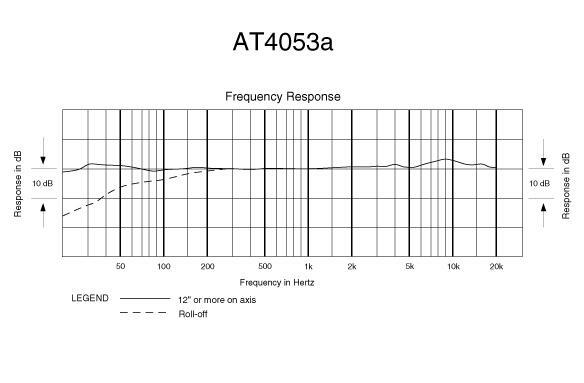 The AT4049a is part of a 3-mic series of pencil condensers with interchangeable capsules. The preamp body is part number AT4900a-48; the omnidirectional capsule is p/n AT4049a-EL. Cardioid and hypercardioid capsules are available separately, and make this mic into an AT4051 or AT4053 respectively. It was replaced in Audio-Technica’s product line in 2008, by the AT4049b. See the link to the AT4049b profile in the sidebar.